Ryerson’s New Grad Career Fair is in February this year, from 11:00 am – 3:00 pm on February 7, 2018 at 89 Chestnut Street (Chestnut Residence & Conference Centre). The journey to meaningful employment is a chapter in every student’s #RoadFromRyerson story. Over the next month, we’ve invited graduating Ryerson students to share their professional development stories via the Path to Career blog series. For more information on the Career Centre, its events, and how you can make an appointment at the Career Centre with your Career Education Specialist, check out ryerson.ca/career. If there’s anything that my journey at Ryerson has taught me, it is that all throughout your life, you never really stop learning. While Ryerson has set me on the right path, the #RoadFromRyerson is simply starting as I’m ventureing into the obstacles of the real world. Growing and building yourself is a lifelong journey that starts with finding a path and learning how to trek it despite the obstacles that may come. When you actually begin to apply and start attending interviews, the extent and detail of what you should know isn’t always clear. Rather than memorize the company’s “About Us” page, knowing more about their history, the progress they’ve made in their respective fields as well as the goals they have in current projects are very beneficial to know for a prospective candidate. Companies and hiring managers know what is posted on their sites and they’ll know if an interviewer simply recites their Wikipedia or General page. Rather than simply searching this, know what the company aims to do in the near future and learn about that topic yourself. Build a dialogue within the interview or in your cover letter about your interest in the field. Having genuine and true interest in their activities and history could greatly improve your chances at landing the job. Being in an academic setting for most of your life, being “book smart” and having high grades are generally seen as of the utmost importance. However, your university experience doesn’t need to be be limited to simply studying and high percentages. You can learn so much through extracurricular experiences. Being able to practically apply the skills you learn in school is extremely important. This includes oral and written communication skills. What extends past this can be what you learn from activities outside your curriculum and how you apply them to applications to show yourself as a well-rounded individual. In my experience in co-operative placements, managers have told me the importance of seeing a student’s initiative and involvement in the community over marks and grades. Knowing a student is involved and has passions outside of their field of study can be a great showcase of character, determination to learn and personal drive. While having a high CGPA is undoubtedly impressive, adding a “human” aspect to your application through various activities on your resume can really make you stand out. Having participated in competitions, conferences, networking activities as well as cultural and social clubs at Ryerson helped me both learn how to connect with people of different age groups and educational backgrounds, but also learn skills that allow me to be more confident in myself in the application process. Building upon the previous point, networking with people is one of the most common, and underrated aids in professional development. Many employers have shared that it’s usually “not what you know, but who you know.” Building your network through networking events, competitions and even simply going out of your way to meet someone is a skill to hone in university. Though knowing people is important, knowing what to do with your network is just as important, if not more. Constantly keeping up to date with the affairs in your field of interest as well as getting tips about how to go about your own goals can be unparalleled in value. Not only that, some job opportunities are also limited to word of mouth, or by recommendation. You would be surprised to find out how many people are hired based on references from esteemed colleagues or reputation. Having a known and respected presence that is supported by your peers will greatly aid you in your pursuit for jobs. Most students use various platforms on a daily basis for personal reasons, but are you using them to your professional advantage? Many of us know the importance of “search-ability”, or the potential for a hiring manager to Google your name and discover things about you, and so, many know to have a LinkedIn account as a bare minimum. However, using social media extends past this, if you know how to use it as a tool in your job search and development. For example, having a twitter account and following several employers, influential people and so forth can help open the door to opportunities you would not find in your daily life. Networking opportunities, quick to fill positions as well as general tips and tricks are at your disposal on these social media sites. Odds are, you are used to mindlessly scrolling through social media on a daily basis. When you do it with a professional mindset in place, the habit develops of being both up to date with the current events in your community, as well as keeping you connected to professionals and companies. Know and Use the Resources Available to you! At Ryerson alone, the Career Centre has various workshops, resume and cover letter reviews and one-on-one talks with professionals to guide your application. Knowing simple things such as keywords, resume structure and even fashion tips during your interview can make you stand above the crowd. Resources aren’t just limited to your university – you have the whole web to help you! Previous interview tips from sites such as Glassdoor or LinkedIn can give helpful insight on what to expect. If there’s something you want to do or learn, odds are, someone has already done it and documented it online – free for your taking. And last but not least, human resources are a big factor in professional development. Besides the typical letters of recommendation or references, having a mentor in the field or occupation you wish to pursue can give you information on things you had not even thought about or expected. This goes hand-in-hand with networking, and you’d be surprised on how much people love to help others who are genuinely interested in their work! It goes without saying that any bit of help to give yourself a competitive edge within the job market can mean the difference between getting an interview and landing a job! Kristian Pacpaco is a final year student at Ryerson University pursuing a bachelors in Chemical Engineering with a Minor in Philosophy. He aspires to work in the environmental field after graduation and travel the world. 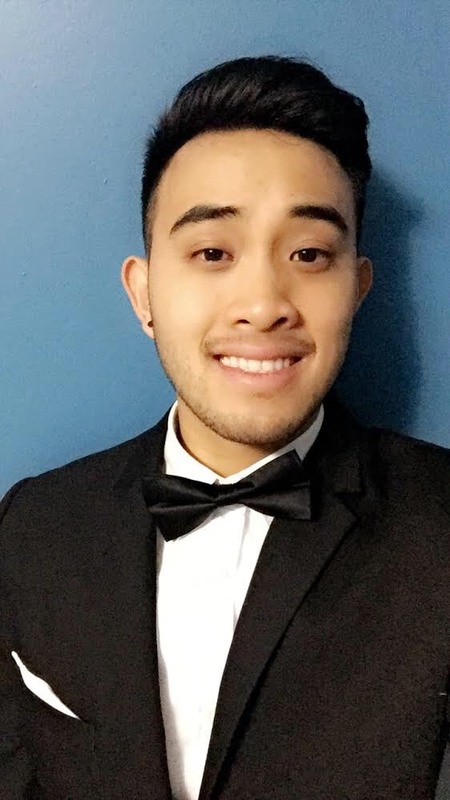 At Ryerson, Kristian enjoys being active and involved with his course union (RyeChemU), the Filipino Canadian Association of Ryerson (FCAR), and the RSU Equity Centre. Outside of school, Kristian has a passion for languages, mental health awareness and is a professional shower singer.